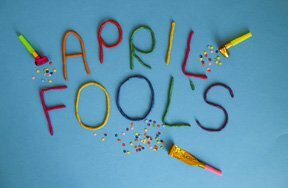 April Fools' Day has got to be one of the best holidays. You get to play nasty pranks and practical jokes on people - and get away with it! 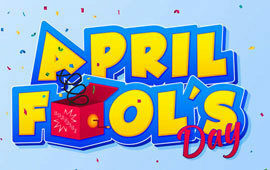 Kidzworld has put together some safe but fun April Fools' pranks you can pull on your friends and family. If your milk comes in a cardboard container, add a few drops of food coloring. It's harmless April Fool's joke but the results are pretty colorful. If you have a sink with a sprayer, put a rubber band around the handle when nobody's looking. This automatically keeps the nozzle in spray-mode. Make sure the nozzle is pointing up and outward. The next person to use the sink will get a splash! Too funny! 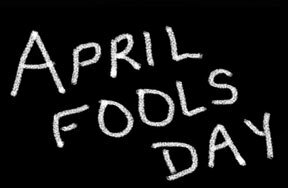 This April Fool's practical joke is old but it still works. 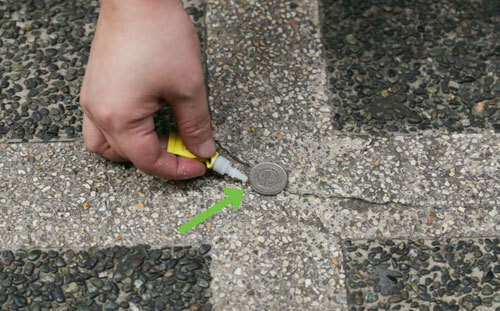 Super Glue some coins to the sidewalk or any spot that has a lot of people walking around. Make sure it's an appropriate place, then watch people break fingernails to get the coins. Fill a hot water bottle with blended leftovers or even pea soup. Keep the bottle hidden under your shirt near your chest and make a trip to the cafeteria. 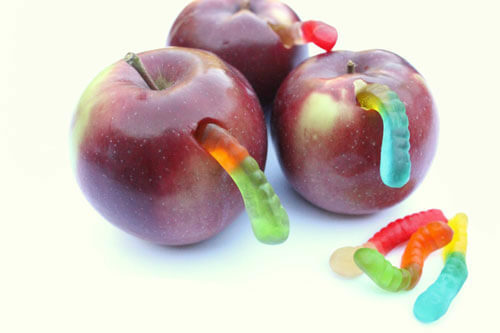 Your friends need to be in on this prank. When the cafeteria is full, make a loud noise to attract attention, bend over the table and squeeze the bottle. Your sludge should spew out all over the table like you've just thrown up. Ask your victim, er.. friend to put a quarter on a piece of paper and, without removing their finger, trace the coin with a pencil. Repeat the "test" with a few fingers. After that's done, get the victim to pick up the quarter and roll it along the bridge of their nose. Then quietly snicker behind their back as they walk around with a black line along their nose. Don't use a permanent marker because that's not cool. 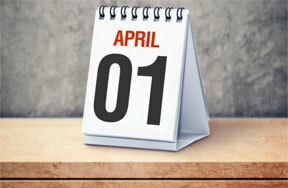 What is your favorite April Fool's Day prank? Take a Woopie Cushion to school and put it in the teachers desk! For a great April Fool's joke, if you have little holders for your salt and pepper, switch the salt with sugar and then watch your family's and friend's faces when they try their food! Just make sure they have something they eat salt with. Get a balloon and put it on the tailpipe of a truck, ferrari, etc. (Make sure the car isn't already on!) Then get in it and have your parents start it up and it will pop. It will sound like the tire popped. 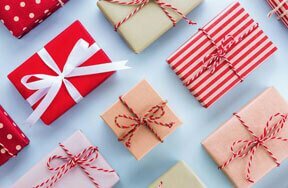 Grab a bunch of alarm clocks, set them to alarm at very early times in the morning and hide them all around different places at your victim's room! 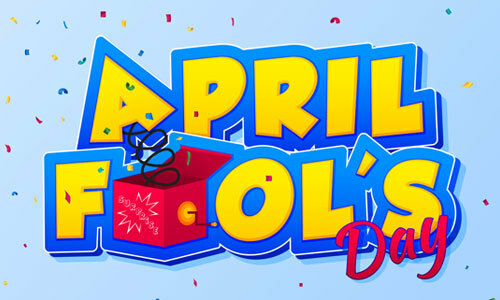 For even more great jokes and gags, head to the next page of April Fools' Day pranks! 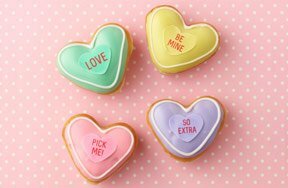 To find out the history behind this funny holiday, click here. 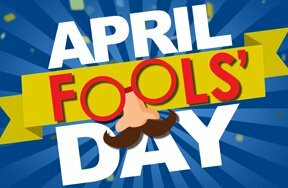 Check out the April Fools Crossword Puzzle! Click here to play. One where everyone has a good laugh. When your victim never knows it was you who pulled it off. As long as I get a good laugh, it's perfect. The perfect prank is between you and the victim.